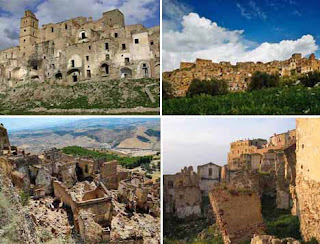 Top 10 Abandoned Cities in the World! 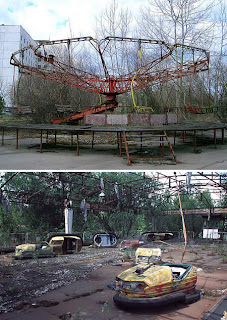 Here is a fascinating list featuring all of the cities across the world that were abandoned at some point. It makes fascinating reading and creates an automatic hit list of places to visit! This medieval village in Italy was built on a very steep summit for defensive reasons, in a dry and mostly vegetation-free area in the south of the country. Over the centuries, this village lost residents due to a plague, French occupation and civil unrest, and finally lost nearly all of its residents between 1892 and 1922 as they fled for America due to poor agricultural conditions. Earthquakes in the 60s forced the remaining occupants out of the city, and it’s now completely uninhabited. The Kowloon Walled City, located just outside Hong Kong, was occupied by Japan during World War II and subsequently taken over by squatters after Japan’s surrender. Neither Britain nor China wanted responsibility for it, so it became its own lawless city. Its population flourished for decades. 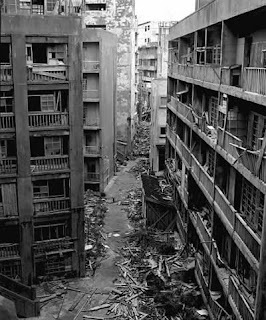 It was a place where brothels, casinos, opium dens, cocaine parlors, food courts serving dog meat and secret factories ran unmolested by authorities. 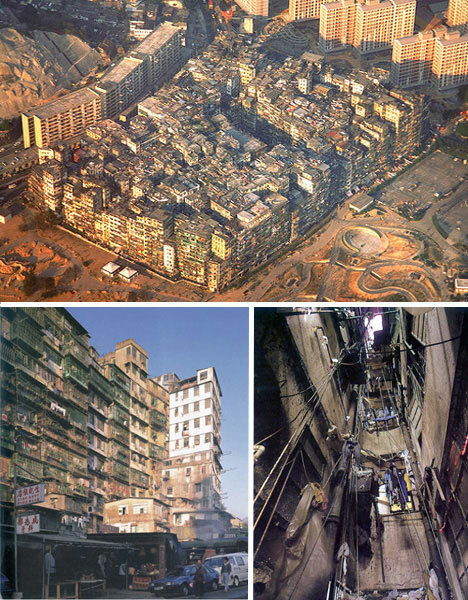 It was finally torn down in 1993 after a mutual decision was made by British and Chinese authorities, who had finally grown wary of the unsanitary, anarchic city and its out-of-control population. The forbidden island is one among 505 uninhabited islands in the Nagasaki Prefecture of Japan about 15 kilometers from Nagasaki itself. It is also known as "Gunkan-jima" or Battleship Island thanks to its high sea walls. It began in 1890 when a company called Mitsubishi bought the island and began a project to retrieve coal from the bottom of the sea. This attracted much attention, and in 1916 they were forced to build Japan’s first large concrete building on the island. A block of apartments that would both accommodate the seas of workers and protect them from hurricanes. 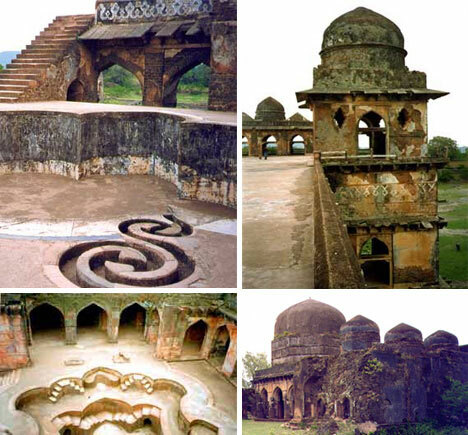 Located south of Indore in the state of Madhya Pradesh, Mandu was once the capital city of a northern Indian Muslim state and has lain abandoned for over 400 years. The ancient city takes up a large plateau just above the Narmada River and is home to a dazzling array of ruins, including a royal palace and a mosque. The Nil Kanth Palace is an important pilgrimage point for devotees of the Hindu goddess Shiva. Today, the city’s only residents are gypsy tribes who live on the hilltop plateau. 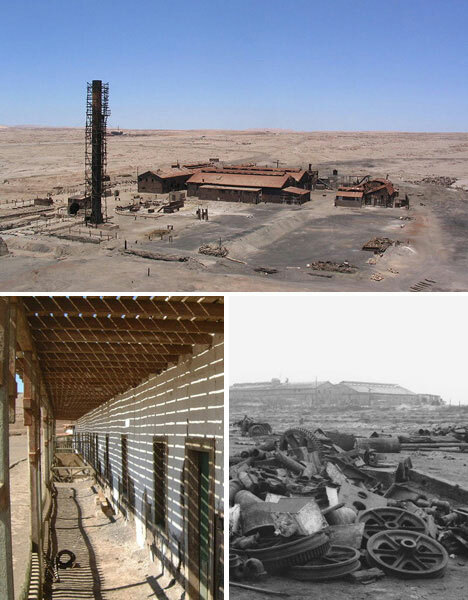 Humberstone in Chile was a booming town from the 1920s until the early 40s, enjoying the wealth and prosperity that came from mining and processing nitrate, also known as saltpeter. Once synthetic saltpeter was invented, the town began to decline and experienced a slow outpouring of residents until it finally lay empty in 1961. 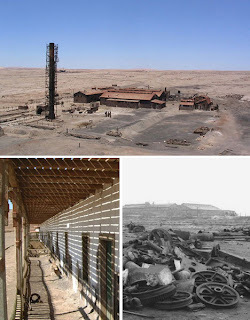 Since then, the blowing sand from surrounding deserts has made its way into the remaining buildings, which still house machinery and furniture. The town has been named a World Heritage Site and will likely be preserved as a historical monument. 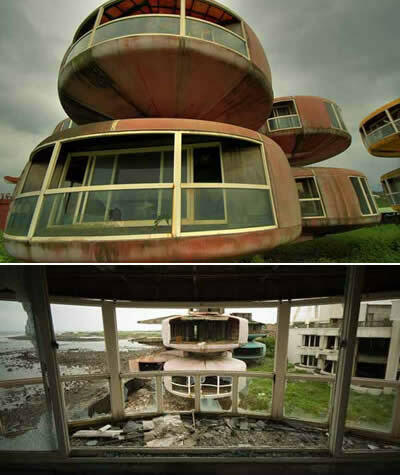 San Zhi in the North of Taiwan, this futuristic pod village was initially built as a luxury vacation retreat for the rich. However, after numerous fatal accidents during construction, production was halted. A combination of lack of money and lack of willingness meant that work was stopped permanently, and the alien like structures remain as if in remembrance of those lost. Indeed, rumors in the surrounding area suggest that the City is now haunted by the ghosts of those who died. 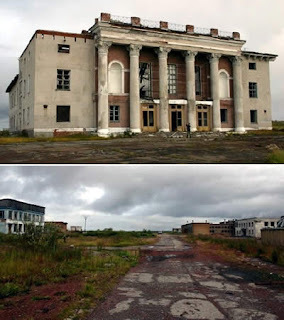 Prypiat is an abandoned city in the "zone of alienation" in northern Ukraine. It was home to the Chernobyl Nuclear Power Plant workers, abandoned in 1986 following the Chernobyl disaster. Its population had been around 50,000 prior to the accident. Famagusta is a settlement in the unrecognised Republic of Northern Cyprus. 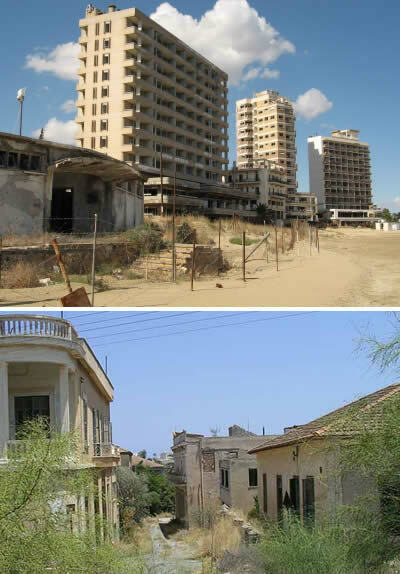 Prior to the 1974 Turkish invasion of Cyprus, it was the modern tourist area of the city of Famagusta. For the last three decades, it has been left as a ghost town. In the 1970s, the city was the number one tourist destination in Cyprus. To cater to the increasing number of tourists, many new high-rise buildings and hotels were constructed. Once home to 2200 residents, Times Beach, Missouri stood empty and condemned for over a decade. 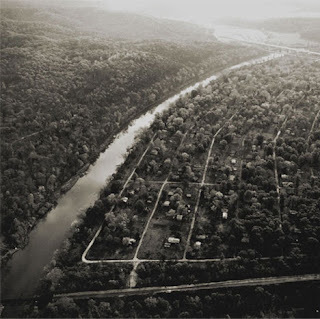 It is the site of one of America’s worst pollution disasters. From 1972 to 1976, city officials had waste oil sprayed on the unpaved roads to alleviate a dust problem. Unfortunately, that waste oil contained dioxin, a toxic carcinogen and component of Agent Orange. The dioxin permeated the soil and flooding further spread it through the town. After a long cleanup effort, the town has been reborn as Route 66 State park.